The Art Biennale ART SAFIENTAL (7th July – 21st October 2018) will take place in the Safien Valley (Grisons/Switzerland). 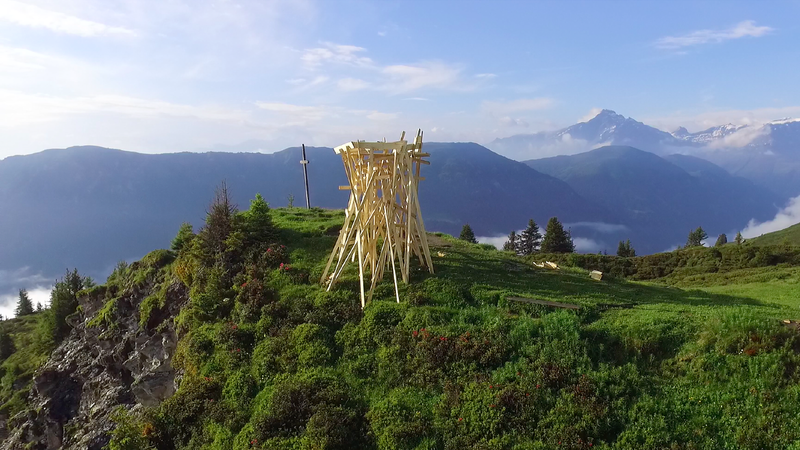 For the second time since its inception in 2016, international artists and participants in the Alps Art Academy create temporary works in dialogue with landscape and nature. These artworks will be freely accessible (and presented free of charge) throughout the Safien Valley as part of Art Safiental. The on-site artistic works result from a dialogue with nature and the environment. Created in the spirit of a transdisciplinary practice, they are concerned with questioning, exploring and revising the historical term Land Art. as well as transdisciplinary practice. The works constitute proposals for a possible future Land Art which integrates the environment, history and society into its production in addition to landscape and nature. Incorporating the notions of landscape and nature, the created works reimagine Land Art into a practice which integrates the environmental, historical and societal aspects. The artworks of Art Safiental are temporary; they are spread over the length of 25 miles through the Safien Valley starting from Versam at the entrance to the valley, through Tenna and Safien in its middle and to Thalkirch and Turrahus at its end. The exhibition is accompanied by an art hiking map, which provides visitors with the exact location of the artworks and some interesting facts about the exhibition, the individual works, Land and Environmental Art and Safiental. Next to being the center of the Academy, the Berghotel Alpenblick in Tenna serves as an information center, and will feature a small library on the subject of land and environmental art and the participating artists. Diverse guided tours are organised during the exhibition, as well as events such as talks and performances.